Free garden fertilizer…. that’s what field-gathered cow patties mean to me. In just one hour, you can shovel up hundreds of pounds of this brown gold. If you think that this is a bit too gross for you, remind yourself of what is truly disgusting… mined phosphate fertilizer, plastic-packaged denatured cow manure from big box stores, and other commercially packaged and shipped fertilizers. - It contains a large percentage of undigested plant matter that adds to the compostability of this soil amendment. - It contains moderate amounts of beneficial nitrogen (about 3%, so it is not as high as many other types of manure). Some tests, on the other hand, have shown it to be just 0.6% nitrogen. - 2% phosphorus. (Or as little as 0.4% in some tests). - 1% potassium (potash). (Or as little as 0.5% in some tests). - It has an easy to remember macro-nutrient value... 3-2-1 NPK. - It attracts, feeds, and helps breed or propagate dung beetles, worms, and many more soil organisms. - Patties feed coprophilous fungi (dung-loving fungi), as some of you know too well! - Dried patties can be burned as fuel. - Patties can have their methane extracted to burn as biogas, even on a home scale level. - It can be incorporated into various naturally-built walls (to be added to adobe, to add thermal mass, etc.). CAUTION – IT IS BEST APPLIED AFTER COMPOSTING FOR UP TO ONE YEAR. - Turn your composting manure pile frequently. 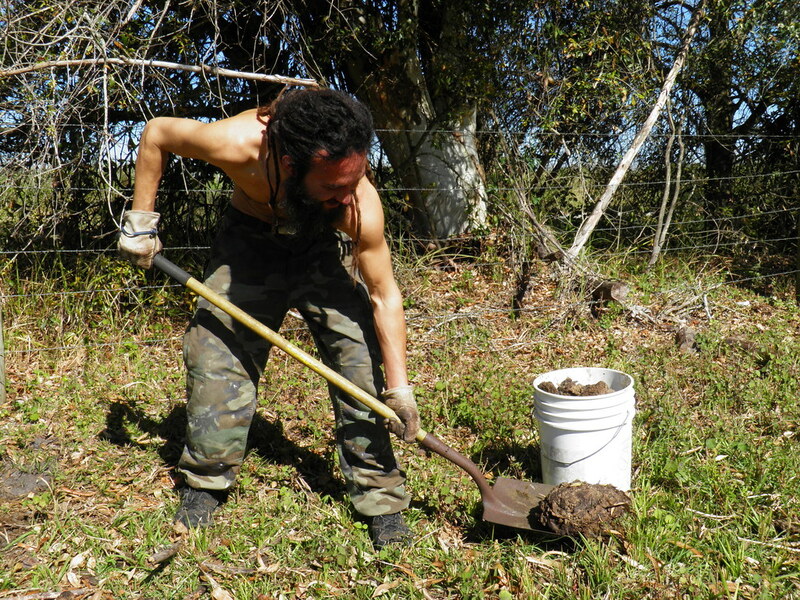 Aerobic composting techniques are the best way to compost cow manure. - And this is the part that we should probably be most concerned about – this reminds of one of the main reasons that we should use well-composted manure in the garden. Since the “animal antibiotics and antimicrobials market reached $3.3 billion in 2013 and is expected to exceed $4.1 billion by 2018”, we should GATHER MANURE FROM ORGANIC FARMS WHENEVER POSSIBLE!! !